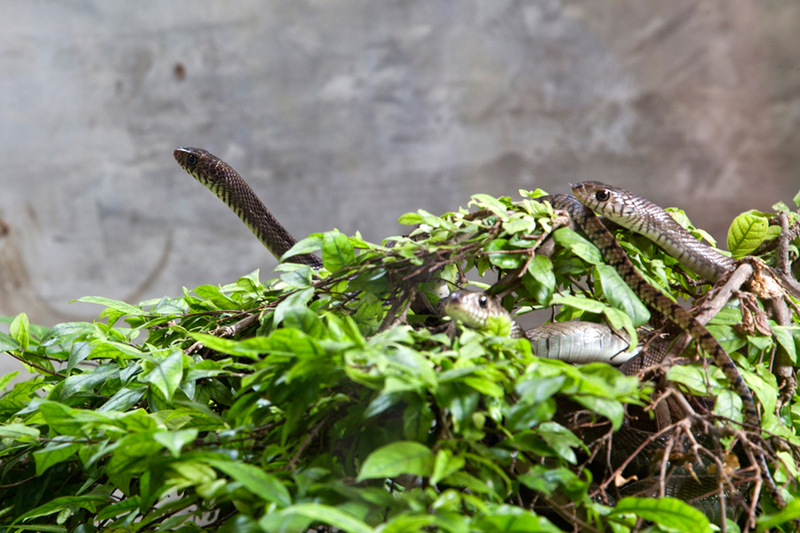 In Thailand there are over than 190 species of snakes, 61 of whom are venomous. 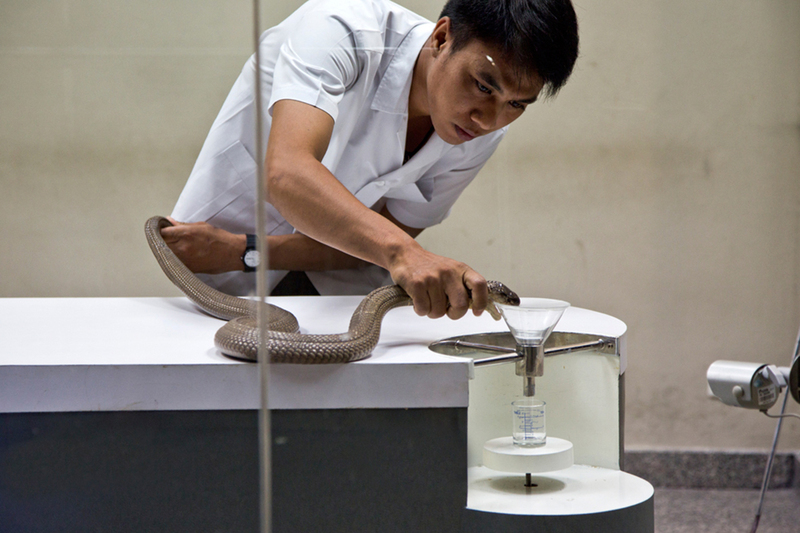 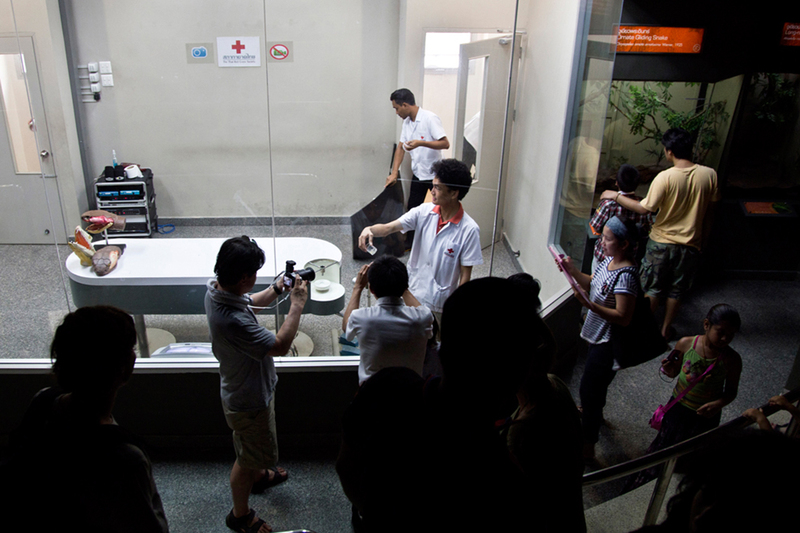 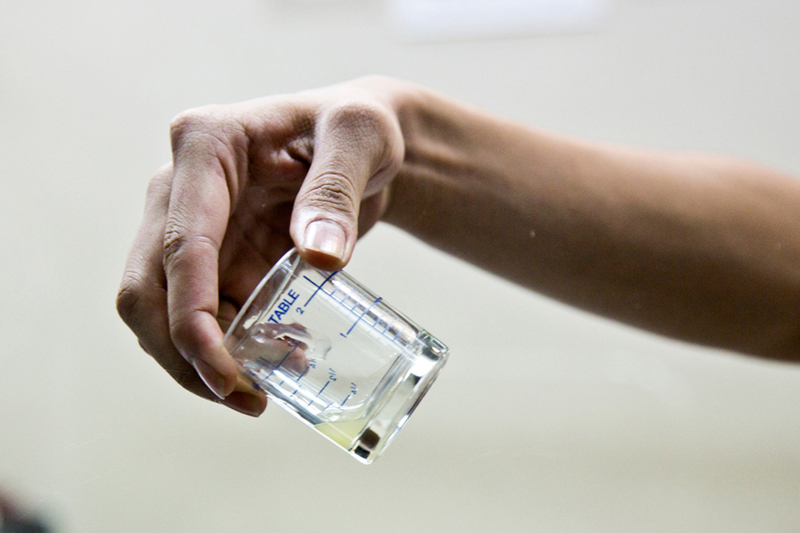 The Snake Farm of the Queen Saovabha Memorial Institute in Bangkok prepares antivenims to neurtalise their bites. 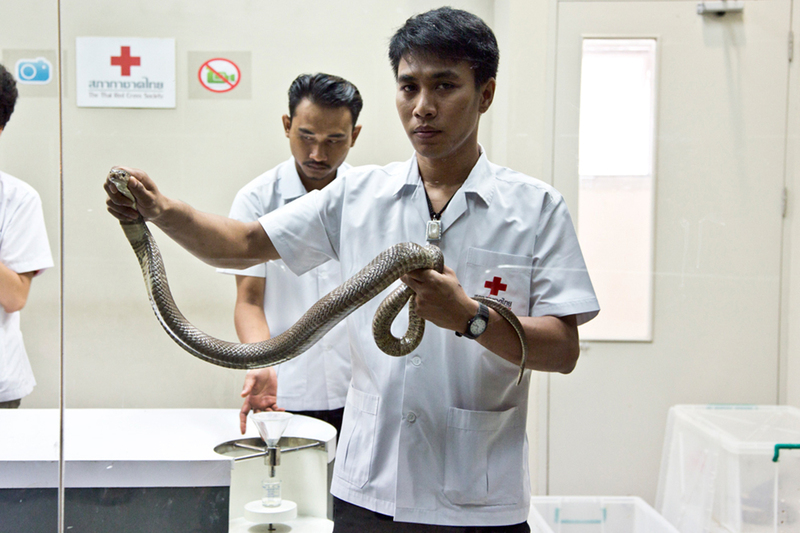 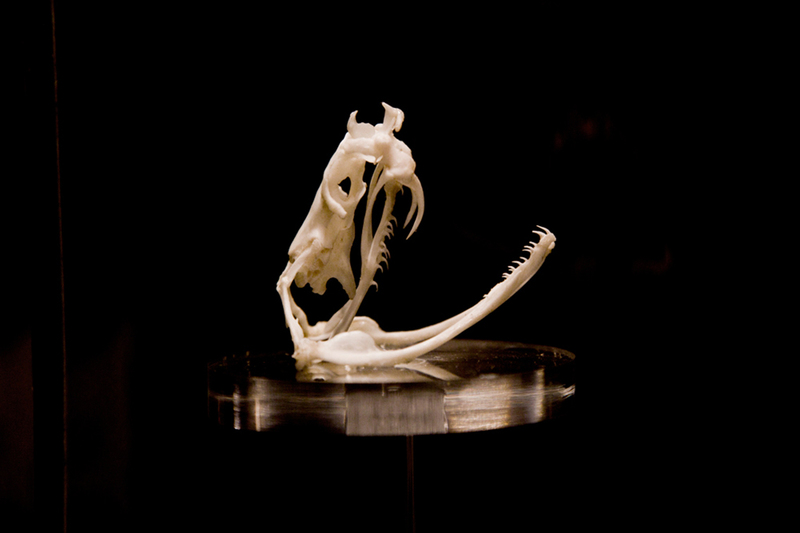 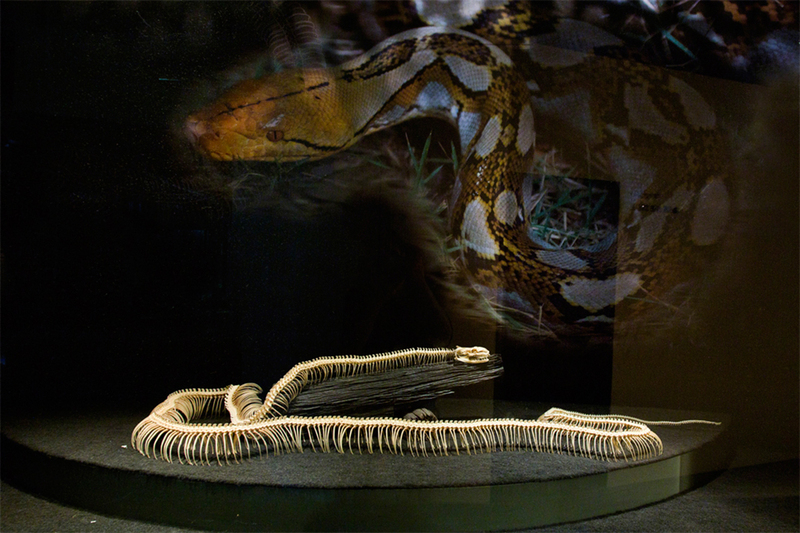 This is done by extracting the snake’s venom, injecting it into horses, and harvesting the animal’s antibodies. 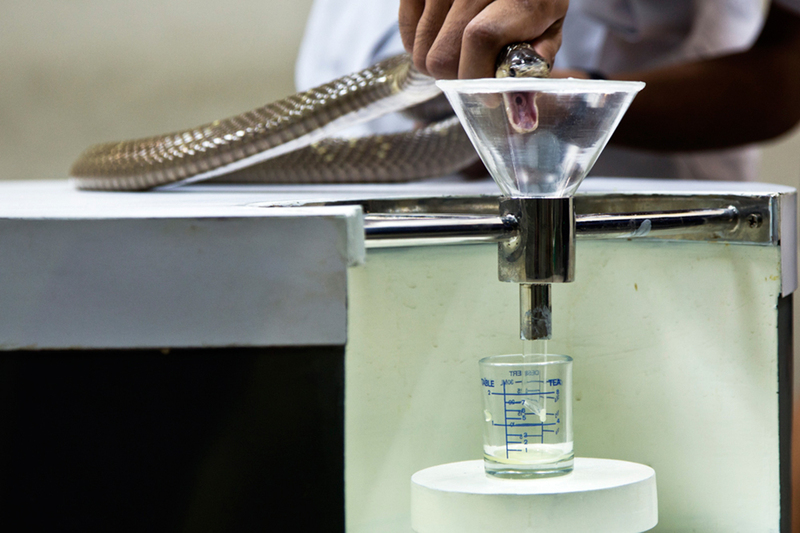 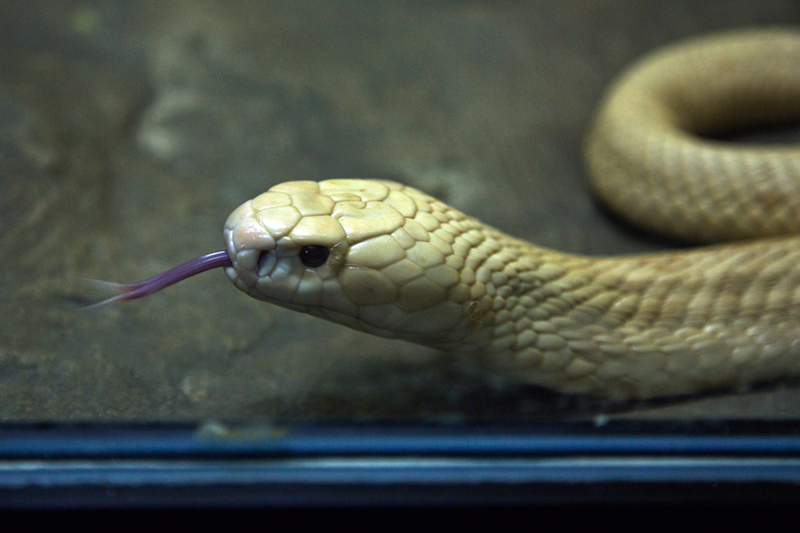 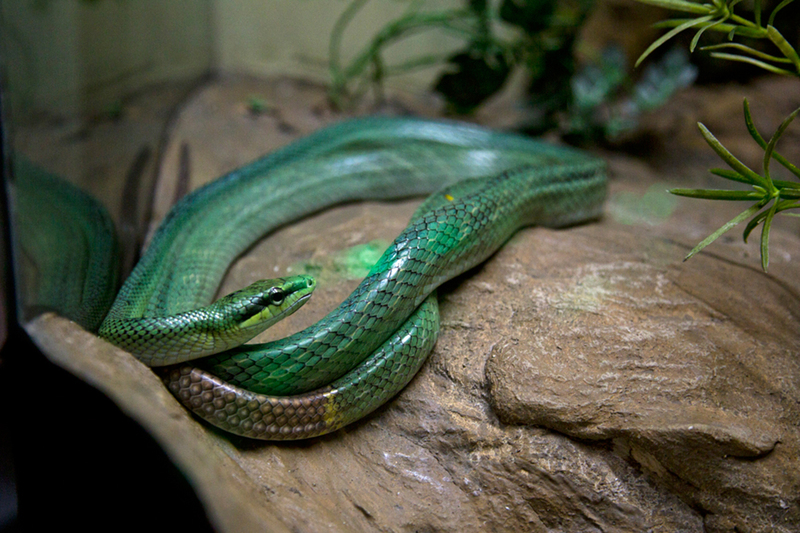 Founded in 1923, this snake farm hosts 35 species of snakes, both venomous and non venomous. 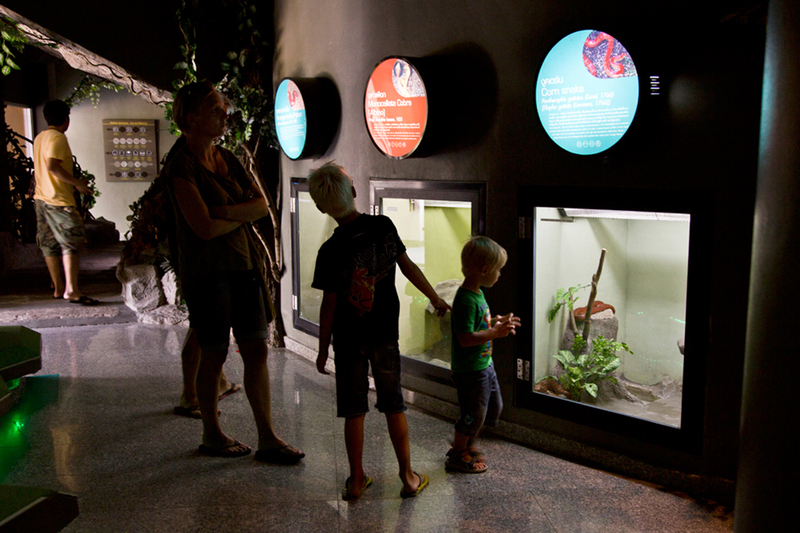 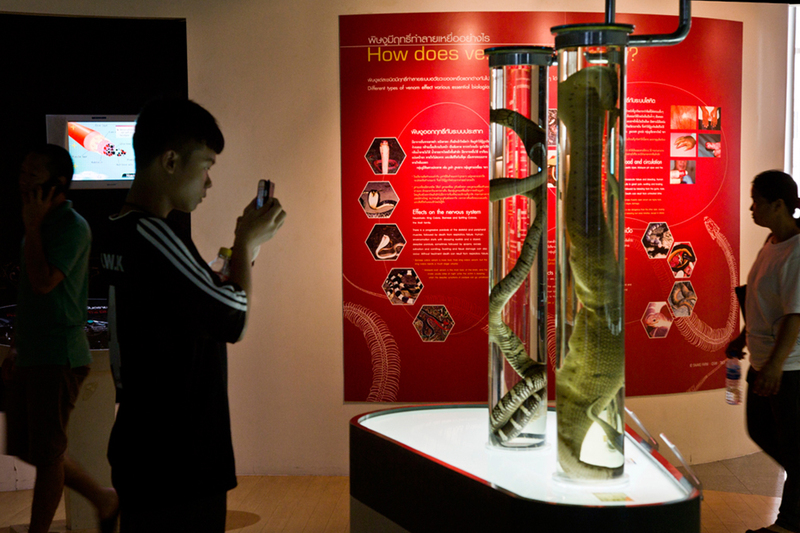 Today this snake farm is also an educational organization which aim is to provide the general public, schools, universities and other organizations with information about snakes. 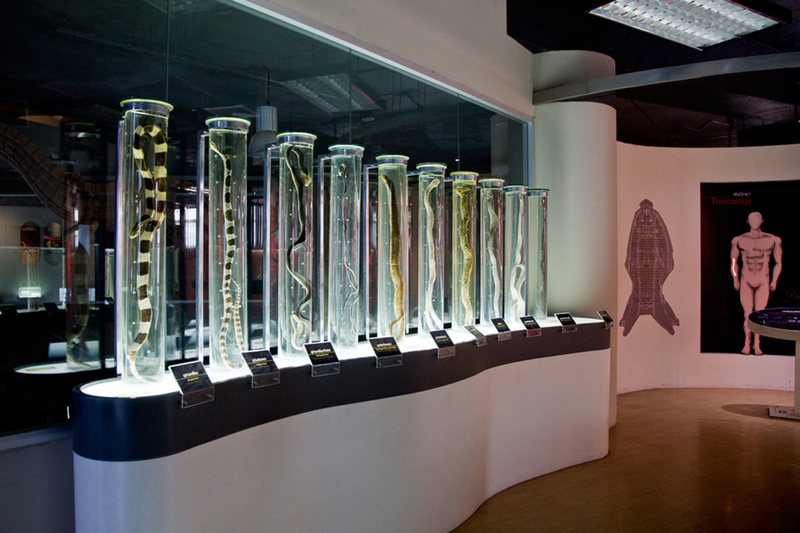 The centre includes a museum, a permanent exhibition and an indoor and outdoor serpentariums.